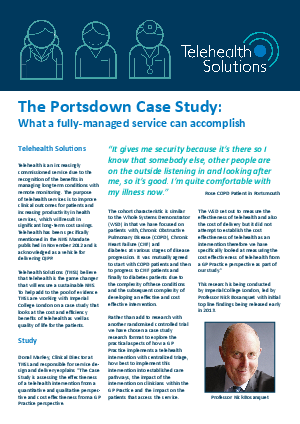 The Portsdown Group Practice has undertaken a study to test the cost-effectiveness of the management of chronic disease using telehealth and has seen significant results so far. The fully-managed telehealth service central to the study has been designed specifically for application through primary care and to measure clinically and financially significant variables. In this free article Dr Julian Neal and Donal Markey explain how.